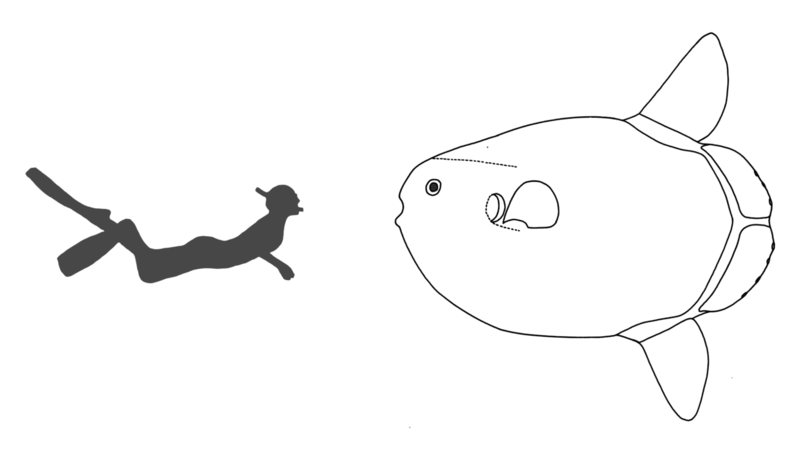 The taxonomy of the ocean sunfishes (Molidae) has a complicated history. Currently, three genera and four species are recognized, including two in the genus Mola (M. mola and M. ramsayi). In 2009, a genetic study revealed a potential third species, Mola species C, in Southeast Australian waters. Concentrating on this region, we obtained samples and morphological data from 27 Mola sp. C specimens, genetically confirmed the existence of this species (mtDNA D-loop and cytochrome c oxidase 1), and established its morphology across a size spectrum of 50–242 cm total length. Mola sp. C is diagnosed by clavus meristics [15–17 fin rays (13–15 principal, 2 minor), 5–7 ossicles, paraxial ossicles separate], clavus morphology (prominent smooth band back-fold, rounded clavus edge with an indent), and body scale morphology (raised conical midpoints, non-branching). This species does not develop a protruding snout, or swollen dorso- or ventrolateral ridges. Body proportions remain similar with growth. 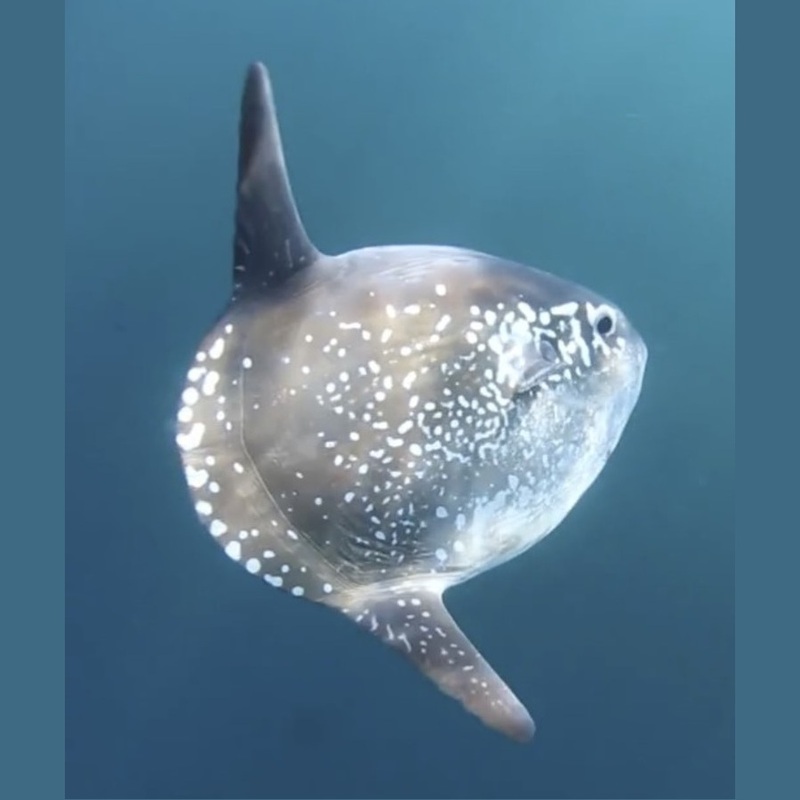 A review of the historic literature revealed that Mola sp. C is a new, hitherto undescribed species, Mola tecta, which we describe and diagnose, and that it is the first proposed addition to the genus Mola in 125 years. Its core distribution is likely in the temperate waters of the Southern Hemisphere. Keywords: Australia, CO1 mtDNA, D-loop, morphology, morphometrics, New Zealand, phylogenetics, southern hemisphere, taxonomy. Mola Koelreuter, 1766. Type specimen Mola aculeata, i.e. pre-juvenile form. Mola Cuvier, 1798. Type specimen Tetraodon mola Linnaeus, 1758, i.e. adult form. Distribution: Currently thought to be widely distributed in all the world’s oceans except for the polar seas, however may be relatively uncommon in some areas (e.g. around Australia and New Zealand). Distribution: Previously thought to be restricted to the South Pacific (Fraser-Brunner, 1951), however if Mola sp. A is shown to belong to M. ramsayi, the distribution is much wider than previously thought, including the Pacific and Indian oceans in both hemispheres, as well as the Mediterranean and probably also the European seas. Mola tecta stranded on Birdlings Flat south of Christchurch, New Zealand, May 2014. The hoodwinker sunfish grows to at least 2.4 metres long, with a distinctive ‘backfold’ of smooth skin separating the back fin into two. Illustration by Michelle Freeborn, Wellington Museum Te Papa Tongarewa. • Mola tecta sp. 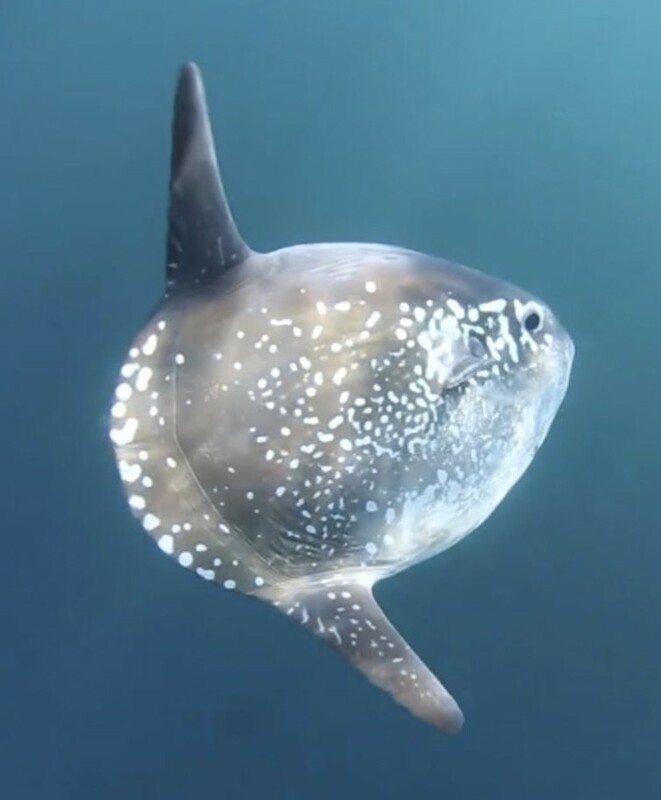 nov.
New English name: Hoodwinker Ocean Sunfish. Etymology: The species name tecta is derived from the Latin tectus (disguised, hidden), as this species evaded discovery for nearly three centuries, despite the keen interest among early sunfish taxonomists and the continued attention these curious fish receive. The Japanese name is derived from the species name tecta: ‘hidden’ (Kakure), ‘sunfish’ (manbo), while the English name, ‘Hoodwinker’, pertains to the figurative meaning ‘trickster, deceiving by disguise’, c. 1600. 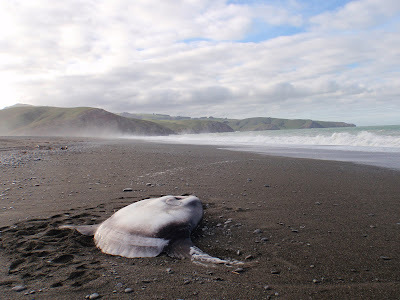 Habitat and distribution: Mola tecta has been confirmed in the southeast of Australia (New South Wales, South Australia, Tasmania and Victoria) (Yoshita et al., 2009; this study), around New Zealand (this study), and off South Africa (Bass et al., 2005) (Fig. 10). Photographs (e.g. Supporting Information, Fig. S1A) indicates that it also occurs in Chilean waters. This suggests that M. tecta is distributed widely in the temperate waters of the Southern Hemisphere, with occasional, but presumably rare, occurrences in the Northern Hemisphere. Migrations are unknown. ป้ายกำกับ: 2017, Australia, Ichthyology - Fish, Marine, Morphology, Morphometric, New Zealand, Ocean: Pacific, Phylogenetics, South Africa, Taxonomy, Tetraodontiformes, Zool. J. Linn. Soc.